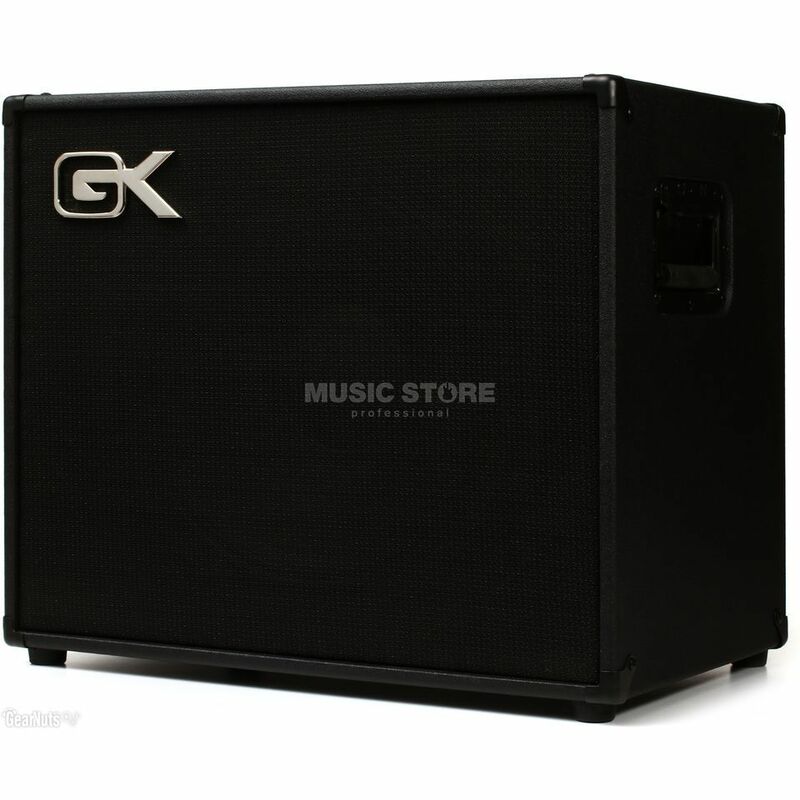 The Gallien-Krueger CX 115 Bass Guitar Amplifier Cabinet is a 300W guitar amp cabinet, featuring an impedance of 8 Ohm, with a 15" ceramic speaker, a 2.5” aluminium voice coil, and SpeakON and 6.35mm jack inputs. This guitar amp cabinet features Sure Lock Stacking, which is a unique foot and corner system designed to lock together when cabinets are stacked. A tough vinyl covering protected with metal corners provides lasting protection, whilst a plywood construction, flip grip side handles and compact design make this cabinet a dream to load. A three position tweeter attenuator is included for control of tweeter level. One professional twist lock speaker connector and one common 1/4 inch input allows for a no compromise performance. A special driver designed just for this cabinet, features an edge wound aluminum 2.5” voice coil, manufactured in the GK USA factory. This design delivers unprecedented transient response uncharacteristic for a 15" speaker. Internal bracing prevents tone robbing standing waves and sound leakage through the cabinet walls. The port was tuned for optimum performance while coupled to the cabinets specific designed speaker. The port coupled with a specific jute blend of damping material provides the right amount of damping at the right frequencies, for optimum response.